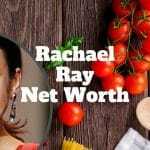 Rachael Ray Net Worth – Wow, Is It $88,000,000? Top celebrity chef, TV host, and author Rachael Ray has an estimated net worth of $88,000,000. Jennifer Katharine Gates Net Worth – Future Billionaire? As the daughter of billionaire, Bill Gates, Jennifer is already estimated to be worth tens of millions but that could skyrocket to the billions if her parents don’t donate all of their wealth to charity. 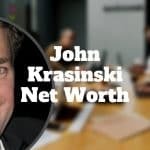 John Krasinski Net Worth – Wow, $33,000,000! John Krasinski is an actor, writer, and producer with a net worth estimated at over $33,000,000 and awarded as one of the most influential people by Time magazine. Chris Tucker Net Worth, Is It Negative? 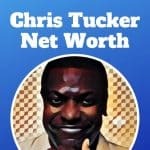 Chris Tucker has a negative net worth and is estimated to be under water to the tune of over $10,000,000. 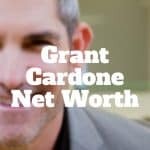 Grant Cardone net worth estimates are north of $300 million and we estimate he makes at least $30 million in combined income on assets of over $800 million. 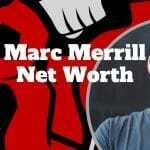 Marc Merrill is the co-founder of Riot Games who has an estimated net worth of $2.5 billion. 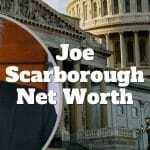 Joe Scarborough Net Worth – Does He Really Make $8M? Joe Scarborough is a TV host who began his career as a lawyer and politician before becoming a successful author. He earns approximately $8 million annually. Peter Schiff Net Worth – Is It Really $75 Million? 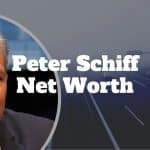 Peter Schiff is CEO of Euro Pacific Capital, a wealth management and brokerage firm managing over $1 billion that has catapulted his net worth to an estimated $75 million. 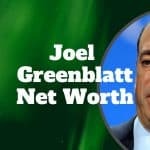 Joel Greenblatt Net Worth – Is It Really $500 Million? Joel Greenblatt is the founder of Gotham Capital, a hedge fund so successful it produced average annual returns estimated at 40%. He is also the author of the famous bestseller The Little Book That Beats The Market. 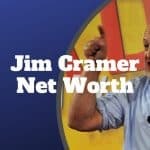 Jim Cramer Net Worth – Is It Really $100 Million? Jim Cramer is a Harvard-educated former hedge fund manager who has hosted CNBC’s Mad Money and authored bestselling books that combined have amassed an estimated net worth of $100 million.